Lawn Maintenance: Owner pays for lawn maintenance. 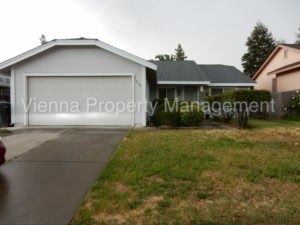 Great 4 bedroom one story home in Antelope. Good location facing west. This home boasts an excellent floor plan, completely tiled floors, separate living rooms with a family room and real wood burning fireplace. Nice size kitchen and breakfast nook. This is a true 4 bedroom build out. Excellent condition inside and out with fresh paint and all pest work done.